M-345 and M-346 trainer jets. The flight school of the Italian Air Force in Galatina, Southern Italy, is now home to several students from various international armed forces. It is appreciated and recognized all over the world thanks to the great skills of the Italian instructors and to the high technology provided by the aerospace company Leonardo. Many nations have shown their interest in its training package like the Belgian Air Force. In the coming years it will expand considerably thanks to the agreement between the Italian Air Force and Leonardo to start the IFTS and the entry of the new M-345 basic trainer jet that will take over the legacy of the MB-339. 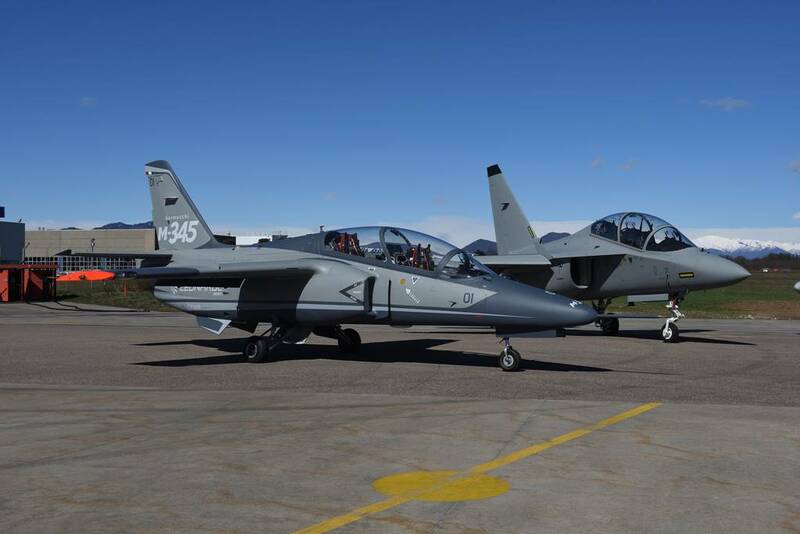 The plans of the armed force are to base the new aircraft at the current Galatina flight school and move the advanced training phase (Phase IV) and the M-346 fleet to a new base, probably in Decimomannu, Sardinia. The Italian Air Force aims to introduce 45 M-345 jets and assign about 15 of them to the Frecce Tricolori aerobatic team. The fleet of the flight school will consist of 30 M-345s and 22 M-346s of which 4 offered by Leonardo under the IFTS agreement. Considering the excellent offer, it will surely become one of the best international points of reference for the training of young pilots assigned to fourth and fifth generation combat aircraft like the F-35.